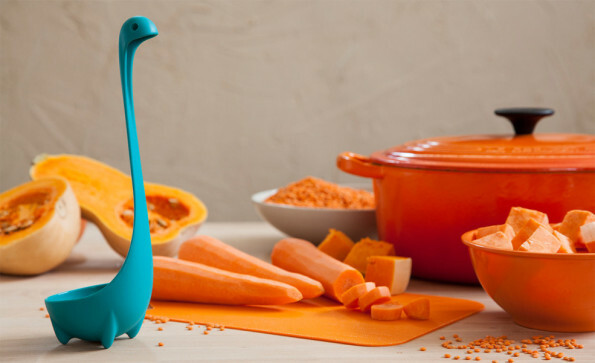 Soho Design Shop is selling this Loch Ness Monster Spoon for $17. Pretty adorable! You ever spot a legendary monster IRL? Like Nessie here, Bigfoot, or a chupacabra? I haven’t, but once when I was tripping balls, I saw the Pink Panther watering his lawn. During a drought. Lost all respect for that dude. Rats. Too expensive for *just a spoon*! Considering it’ll last a lifetime, and a great conversation piece, I’d say it’s worth it. Dipping plastic in hot food is not exactly safe, over time. And there are even neurotic people on the internet who refuse to let their food come in contact with metal.